GOP Health Bill Would Let States Determine 'Pre-Existing Condition' Protections : Shots - Health News Before the Affordable Care Act, people with pre-existing conditions often couldn't get health insurance — or paid sky-high premiums. The bill passed by the House last week would let states decide. Ryan Lennon Fines seems like a typical 2-year-old. He and his parents, Scott Fines and Brianna Lennon, flip through a picture book of emergency vehicles. Ryan is looking for the motorcycle, but a photo of an airplane catches his dad's eye. "That's an air ambulance," Fines tells him. "You've been on one of those." When Ryan was born in 2014, his mouth wasn't connected to his stomach. It's a condition known as esophageal atresia. After three months in a hospital in St. Louis, the family flew to Boston, where Ryan had surgery. The surgery worked. Ryan is active and can eat normally — he had two big pieces of fruit leather and some crackers in the 45 minutes I was there. But all that time in the hospital was expensive. 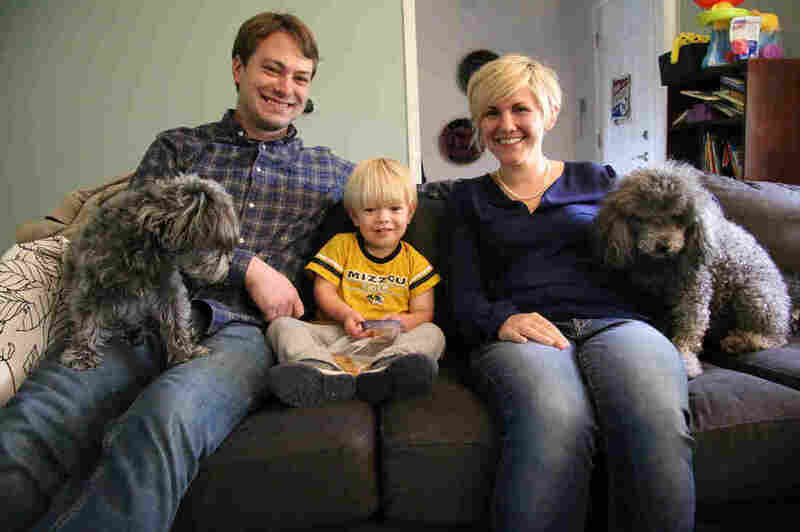 In the first six months of his life, Ryan's insurance plan was billed $750,000. The family had to pay only $5,000 of that — Ryan's maximum out-of-pocket expenses, under his insurance plan, for 2014 and 2015. "We were lucky we had a really good, employer-provided [health insurance] plan," Lennon says. Now, the family is worried about Ryan's future. He'll still need between $20,000 and $30,000 of medical care every year. They have insurance through Fines' work, but the health care bill that Republicans passed in the House last week could affect Ryan's care. All six Republicans from Missouri — including Rep. Vicky Hartzler, from the district where Scott, Brianna and Ryan live — voted for the bill, which unwinds many of the provisions and protections of the Affordable Care Act, known as Obamacare. In a video posted to Twitter, Hartzler says passing the bill was an important first step to replacing the ACA. "It covers pre-existing conditions," she says, "still retains the ability for young people to stay on their parents' policies, and makes sure that there are no lifetime caps." That's true, but the bill also gives states the authority to allow insurers a number of exemptions from the federal law. For example, while the GOP bill retains the ACA provision that people, like Ryan, who have pre-existing conditions cannot be denied coverage, there's a potential loophole. In a last-minute amendment proposed by Rep. Tom MacArthur, R-N.J., a state could seek permission to allow insurance companies to charge patients more (based on their health history) if their coverage lapses for more than 63 days. That provision in the GOP bill would tremendously weaken the ACA protections, says Larry Levitt, senior vice president of the Kaiser Family Foundation. "This would guarantee access to insurance for people with pre-existing conditions in theory, but not really in practice — because they could be charged astronomically high premiums," says Levitt. Before the Affordable Care Act was enacted in 2010, he says, it was common for people with pre-existing conditions to be charged much higher premiums or to be denied coverage altogether. If a state decides to waive the federal law's protections, this could happen again. Scott Fines and Brianna Lennon were able to keep medical costs for their son, Ryan, in check through employer insurance. Though Ryan's health is good now, he still needs between $20,000 and $30,000 of medical care every year. The amendment would require that states seeking a waiver must also help people who have high health care costs. High-risk pools are the most commonly cited type of program to do this, but they were often underfunded and expensive for consumers and states. Missouri Gov. Eric Greitens, a Republican, supported the GOP health plan in March. His office didn't respond to NPR's questions about whether he supports the current version of this bill or whether he'd want Missouri to seek permission to opt out of some of the provisions. Levitt says it would likely be conservative states, like Missouri and the 18 other states that did not expand Medicaid, that may try to opt out. Those states, Levitt says, "made a decision to not go along with the Affordable Care Act, and I think that those states are facing a similar kind of decision here." Fines and Lennon say they face tough decisions if this bill becomes law. "We would have to either move to a state that didn't waive community protections or out of the country entirely if we could," Fines says. 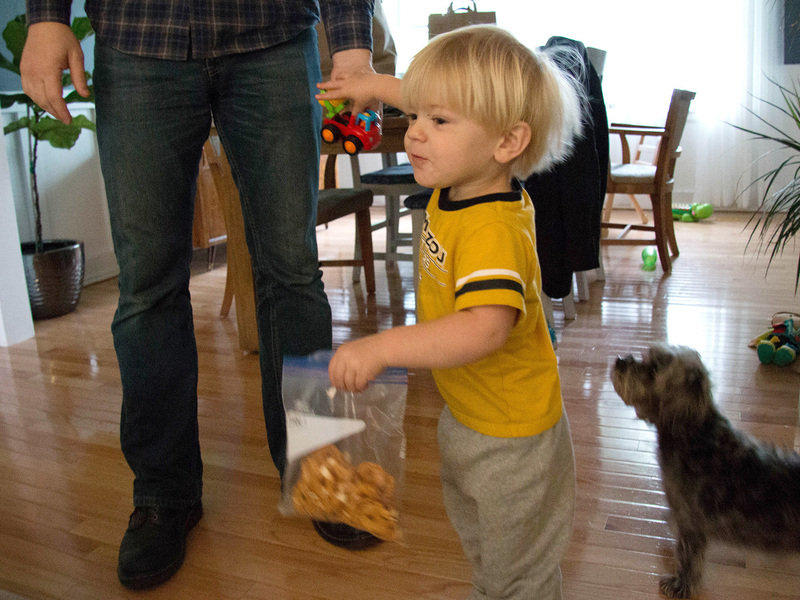 "I'm not going to risk my son's health on the political whims of Jefferson City." But before any decisions are made in Missouri's state capital, the GOP bill is in the hands of the U.S. Senate, where it could change before becoming federal law. This story is part of NPR's reporting partnership with KBIA, Side Effects Public Media and Kaiser Health News.